You’re ready to get a mortgage and suddenly you start hearing and seeing all of these terms you’ve never heard before—APR, DTI, due diligence. What do they all mean, and most important, what do they all mean for your mortgage? Just a little knowledge will help you feel a lot less lost. Here are a few of the most common mortgage terms you should know. A fixed-rate mortgage means that the interest rate stays the same for the entire life of the loan. This also means that your monthly principal and interest payment will stay the same for the life of the loan. An adjustable-rate mortgage or (ARM) loan usually has two numbers, like a 3/1 ARM or a 5/1 ARM. This means that the first 3 or 5 years have a fixed rate, and then the rate adjusts once a year each year thereafter (based on current interest rates). This means that your monthly payment will fluctuate, too. Amortization refers to the repayment of a loan’s principal over a period of time with a fixed payment schedule. These payments include both interest and principal that are enough to pay the loan off once it reaches maturity (for mortgages, that’s usually 15 or 30 years). Early on in the loan’s life, most of your monthly payment goes to interest with little going toward the principal. But with each payment, less goes to interest and more goes toward the principal of the loan. The interest rate of a loan is the interest you’ll pay on the money you’re lent. But the APR is the total cost of doing business with the lender, including the interest rate, any discount points, fees, and closing costs. The APR will always be higher than the interest rate. Looking at a loan’s APR is the best way to compare overall fees charged by different lenders. Sometimes the lowest interest rate isn’t actually the best deal. Closing is the last step of getting your new home. You sign all of the necessary documents to buy the home and get your new mortgage. Once closing is complete, congratulations: you’re officially on the hook for mortgage payments. The closing may include your agent, a title company rep or escrow company rep, an attorney (in some states, attorneys conduct closings), a seller’s attorney, and/or your lender. All parties may sign at once, or parties may sign at different times. Closing costs are the expenses and fees buyers and sellers incur during a home transaction. These costs include things like loan origination fees, appraisal fees, discount points, title searches and insurance, taxes, recording fees, and surveys. Additionally, you’ll usually have to pay home insurance and some property taxes upfront at closing. You’ll get a notice of these estimated costs shortly after you have an accepted offer and then will get a more exact notice of closing costs three days before your loan closes. Closing costs are usually 2 to 5% of the purchase price, with some costs being paid by the buyer and some by the seller. Your debt-to-income ratio (usually called DTI) is the amount of debt you pay every month (including auto loans, credit card debt, personal loans, and your new mortgage) divided by your gross monthly income. This number is the main way lenders verify that you’ll be able to repay your mortgage. It also affects how much money you’ll be able to borrow for your new home. If you have $10,000 in income every month but have $3,000 in monthly debt payments, your DTI is 30%. Remember that this percentage represents ALL of your debt combined, including credit card, auto, installment, student loan, and other debt. Purchasing real estate can be a high-risk endeavor. But there are some things you can do to take at least some of the risk out of the equation. You can think of due diligence as doing your homework on the house you want to buy. The buyer gives the home seller earnest money to indicate that he or she intends to buy the home. This is done when you go under contract. 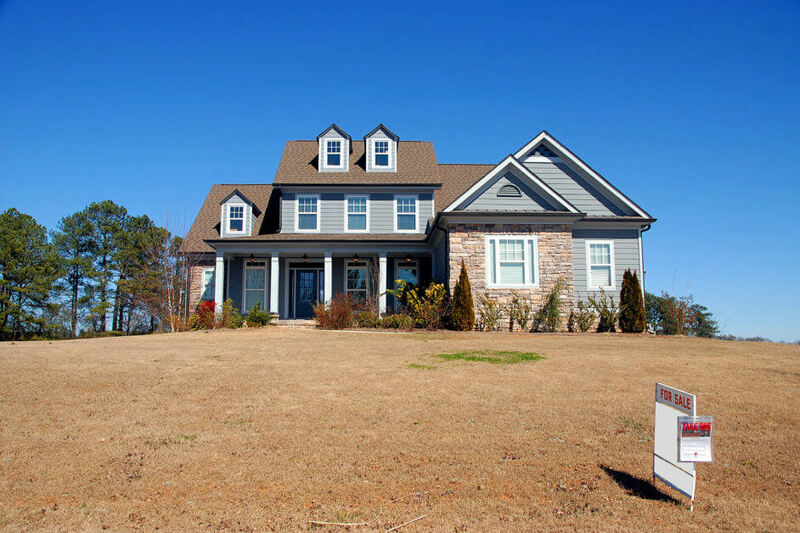 A signed purchase contract doesn’t actually obligate you to buy the home. Most home contracts include contingences for the inspection coming back clean and the mortgage going through (there may be others). If the deal falls through, you may or may not get your earnest money back. If you back out for a contingency, you’ll usually get your money back. This is also the case if the seller terminates the purchase contract. If you back out for reasons not listed in the contract, you likely forfeit your money. Earnest money is usually paid by check or wire transfer into a trust or an escrow account held by the brokerage, the title company, or a legal firm. This money counts toward the money you pay at closing. The process of funding a loan depends on the state, but it usually doesn’t happen until all the documents have been signed and all the funding conditions of the loan are satisfied. May loans are funded the same day they close, but they can be funded a day or two in advance of closing. When a loan is funded, the money is sent to the title or escrow company, and the funds are dispersed to the appropriate parties. Mortgage insurance protects lenders when borrowers default on loans. It is typically required when you put less than 20% down on a home. It’s also required for the FHA and USDA government loan programs. Depending on the loan type, you may pay mortgage insurance upfront, monthly with your mortgage payment, or both. With conventional loans, mortgage insurance falls off once your home’s value reaches 78% of the loan amount, so you won’t pay it for the entire life of the loan. Other loan programs may require you to pay mortgage insurance for the entire loan period. Did you know that mortgage interest rates can change as often as hourly? A rate lock is an agreement between you and the lender that your loan’s interest rate will be the specific one you lock in. This agreement is binding for both you and the lender (in most cases). Rate locks are usually available for 30-, 45-, and 60-day time periods. I hope this helps you feel a little more confident about your mortgage vocab. But remember, if you have any questions, I’m here to help explain what something means—that’s my job.